Amsterdam, 1 may 2012, In spite of a confirmation from VIVA organisation at first, Greenland does not seem welcome anymore at the VIVA Wild Cup and will thus not be travelling to the Middle East. Amsterdam, 27 april 2012, National coach René Olsen anounced a pre-selection of 36 players for the VIVA Wild Cup that will be played in Kurdestan (Iraq) next June. Later this month 20 of those players will be chosen in the final selection that will travel to the Middle East. John Kreutzmann, B67, Johan Fr. Zeeb, G44,Ilassiannguaq Martinsen, G44, Peter Rosbach, N48, Aputsiaq Birch, B67, Mika Davidsen, G44, Nukannguaq Zeeb, G44, Lars N. Berthelsen, B67, Palu Petersen, T41, Sakiu Lundblad, B67, Jenseeraq Adolfsen, K33, Frederik Funch, Kâgssagssuk, John Eldevig, B67, John L. Broberg, G44, Kununnguaq Christiansen, T41, Anders H. Petersen, B67, Binia Abelsen, Eqaluk, Maasi Maqe, Tuttu, Norsaq Mathæussen, B67, Markus Jensen, N48, Arne Hansen, NÛK, Niilsinnguaq Geisler, Kugsak, Zakorat Zeeb, G44, Steve Broberg, G44, Pavia Mølgaard, SAK, Klaus Egede, Kâgssagssuk, Angutitsiaq Kristiansen, T41, Katu Madsen, I69, Inunnguaq Geronne, K33, MInik Stephensen, Eqaluk, Piitannguaq Møller, Kâgssagssuk, Tuuma Abelsen, ATA, Loke Svane, B-67, Niklas Kreutzmann, Danmark, Mads Andersen, G44, Aqigssiaq Ludvigsen, B67. Amsterdam, 12 april 2012, The U19, that is based in Denmark, made a trainingtour between April 2nd and April 5th. In those days two friendly games were played. Greenland won with 5, 2 against Stidsholts idræts og efterskole and 3-0 against the U19 team of Frederikshavn. Amsterdam, 13 march 2012, In Whitehorse all three Greenlandic teams that participated won a medal. The three youth teams returned to Greenland with one golden and two silver medals. Amsterdam, September 13th 2011 - Up to October 10th 2011 cities and towns in Greenland can bid for organising a GM tournament in 2012. Besides the big GM (July/August), there are also GM tournaments planned in July & August for ladies, Ungdom (youth) and Born (children) . During February or March 2012 the ladies and men teams will play an indoor GM. Amsterdam, August 22nd 2011 - On the youtube movie below you can get a glimps of the celebrations during the arrival home of the Greenlandic Champions, and the 'city-tour' afterwards. Amsterdam, August 20th 2011 - After beating B-67 from the capital of Nuuk with 7-6 G-44 defended its 2010 GM title with success. G-44 from Qeqertarsuaq and B-67 ended the first as well as the second half even. Without goals in the first half, both teams scored one goal each in the second. The prolongation saw no goals, so a penalties series had to decide about the 2011 Championship. Johan Ludvig Broberg won the title of Best player in the Final. T-41 from Aasiaat won the bronze medal after beating hosts SAK in the 3rd place match. Here you can find all results of the final phase of GM 2011. Amsterdam, July 4th 2011 - Not only the results, but also all details on the 2011 games of the Greenland national team are visible online. Please note that they are a bit different from the official Island Games 2011 results website, because I took the details given by the Greenlandic team. This because there were several mistakes made in the official results pages. Southampton, July 1st 2011 - A bronze medal for the Greenland ladies , after a 1-0 victory over Western Isles, was the reward for a splendid week for Greenlandic football. The men team did a good job. In spite of loosing all their groupgames, the strong oponents all strugled against the Polar Bamserne. Also positive was the fact that Greenland scored in every single game at least one goal. Below you find a link to a short summary of the final plus the medal ceremony. Southampton, June 30th 2011 - After a 88th minute winner by Petersen Greenland finished in 11th out of the 15 teams. Greenland played with 1 more player in the last 10 minutes after a red card for a player from Western Islands. Southampton, June 30th 2011 - A clear 6-1 loss makes Greenland ladies need to play Western Islands to decide who will win the bronze medal in the same town as the semi final, East Cowes FC, at 10:00 am local time. Southampton, June 29th 2011 - Finishing as best runner ups Greenland will play Aland in the semi finals in East Cowes at 12:00 local time. Southampton, June 29th 2011 - Due to the expulsion of Rhodes, Greenland will play in a play off for the 12th place. Oponents will be Western Islands from near Scotland. The game will be played tomorrow in Shanklin at 14:00 local time. Southampton, June 28th 2011 - Due to the expulsion of Rhodes a win would have given opertunities to be even group winner after loosing out the first two games. Against Jersey that would have been quite a challenge though. But during the game eerything seems to be possible, Greenland gave tough oposition to the strong Jersey side. After 1-0 down at half time, Jersey scored 2-0 in the second half and thought they had won the game already. But Greenland kept on fighting and scored the 2-1. Sadly enough, two shots on the bar prevented Greenland from a draw today. But due to the penalty of Rhodes Greenland finished 3rd in the group. Southampton, June 27th 2011 - After the previous 6-0 loss against the team of Menorca, today Greenland lost in a tight game with 3-2 due to a late winning goal of the Spaniards. Menorca took the lead twice, but Greenland fought back by equalising twice. Before the game Greenland coach would have signed for a draw. But during the game today even more would have been possible. " After the second equaliser I felt a victory was possible and brought another atacker on. In the end this gave Menorca more space and resulted in the injury time 3-2 score", said nationak coach Tonnes "Kaka" Berthelsen. "But we lost last time 6-0 against them, today a 3-2 loss, so next time we will beat them with 4-0!" 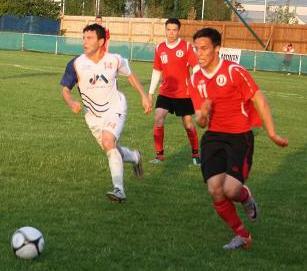 Southampton, June 26th 2011 - At Sunday Greenland faced the Greek team of Rhodes. In front of about 200 fans, almost all of them cheering for Greenland, Greenland was the attacking team against a passive Rhodes. Greenland had most of the creativity of the game but could not prevent Rhodes from taking the three points in the pocket. At half time the score was 1-0 for Rhodes, who scored the 2-0 half way the second half. Pavia Molgaard did something back 5 minutes before the final wisle. In the last minute the goalkeeper of Rhodes was sent off, but after only one cornerkick the referee blew the gme to an end. Tow very tough games to come still. Amsterdam, June 24th 2011 - Having played two friendly games against Icelandic club teams the team seems to be in very good form. Greenland national team drew against the 1st division team Grotta 3-3 with goals from Jensen, Abelsen and Mathaeusen. Against premiershipclubThrottur, who played with mostly reserve team players, a 5-1 victory was obtained. Amsterdam, June 1st 2011 - At Tuesday June 28th Greenland will face the team of Jersey in the 2011 Island Games at the stadium of West Wight FC in the Isle of Wight. Since both Jersey and Greenland were among the first islands to participate in the Island Games football tournament, they are no strangers to each other. 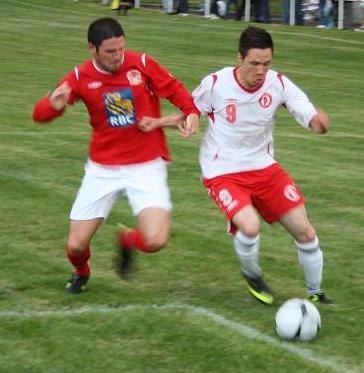 In total Greenland and Jersey played each other at four successive Island Games Tournaments. The last match, however, dates from June 30th 1997. 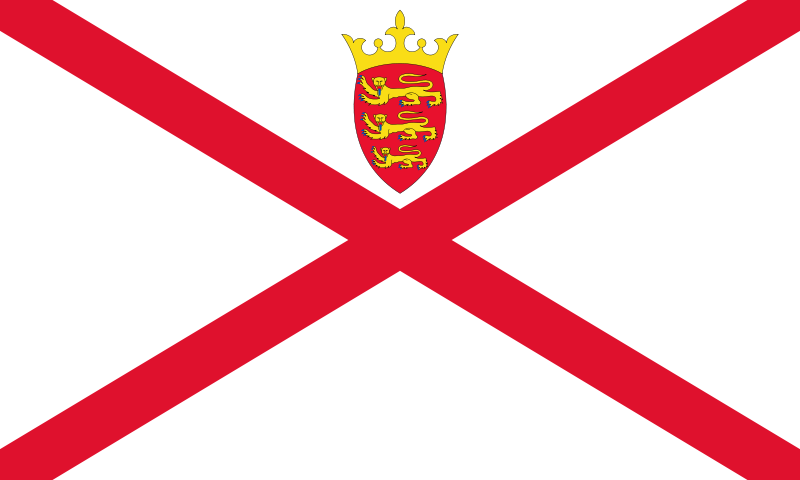 The Jersey team won all four games, 4-3 in 1991, 4-2 in 1993 (this game was also played in the Isle of Wight), 6-3 in 1995, and 2-1 in 1997. Amsterdam, June 1st 2011 - At Sunday June 26th Greenland will face the team of Rhodes in the 2011 Island Games at the stadium of Brading Town FC in the Isle of Wight. Like the Menorca game his will be the second time in history that these teams play each other. The first time was back in 1999. At July 1st Greenland played Rhodes at the 1999 Island Games in Gotland. In the Farösund Sportspark, the Greeks beat Greenland with 2-0. As to be expected after thirteen years, the team has changed a lot, of this 2011 Island Games squad only John Kreutzmann faced the Rhodes team in Denmark. Amsterdam, June 1st 2011 - Monday June 27th Greenland will face the team of Menorca in the 2011 Island Games at the stadium of East Cowes Vics FC in the Isle of Wight. This will be the second time in history that these teams play each other. The first time was two years ago, also at the Island Games. In the Sportkila ground in Sund (Åland) Greenland did not have a chance against the Spanish. After a 0-3 half-time, Greenland lost with 6-0. The Greenland team has not changed drastically since this game. Among the players in the current team that played Menorca back in 2009 are Löke Svane, Maasi Maqe, Aputsiaq Birch, Lars N. Berthelsen (he played in 2nd half), Jim D. Olsvig, John Eldevig, Anders H. Petersen (he played in 1st half), Pavia Mølgård. Nuuk, May 29th 2011 - Both Manchester United and Barcelona fans enjoyed the 2011 CL final that was played in London. After the final wisle and the 3-1 Spanish victory some fans celebrated with flags as you can see on the picture. Amsterdam, May 19th 2011 - Greenland has played in their history all three opponents at the Island Games at least once before. Combined these games resulted in four losses in the same amount of games. Twenty years ago Jersey beat Greenland at the 1991 Island games with 4-3. Four years later, in Gibraltar, Jersey won again, now with 6-3. In 1999 Rhodos was an opponent of the Greenlandic team, a 0-2 loss. 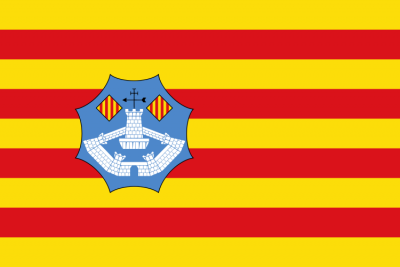 In the most recent Island Games Tournament, in Aland in 2009, Menorca was first met. A clear 6-0 victory of the Spaniards made an end to the Greenlandic dreams of the semi finals. 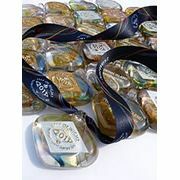 Isle of Wight, May 11th 2011 - The organisation published the football programme for the International Island Games 2011. 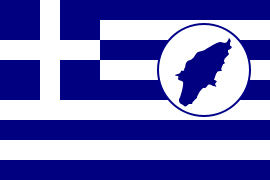 Greenland will play their opening game on Sunday against the Greek isle of Rhodes. 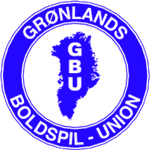 Greenland ladies start on Monday and they are in a group of three teams only. They will therefore only play tow games during their group phase. Via the the following links you can find the full fixture list of the men's football competition and the women's football competition. Isle of Wight, May 9th 2011 - The Greenland men will face Spanish, Greek and British oposition. The Greenlandic ladies will only play 2 teams in their group of three. Isle of Man and Gibraltar will be the opponents to overcome to proceed to the semi finals. After the group face, either a semifinal or a play off game for the final ranking will be played. Nuuk, May 2011 - The 2011 Island Games Greenland squad has been anounced: 1. John Kreutzmann, 2. Löke Svane, 3. Maasi Maqe, 4. Aputsiaq Birch, 5. Mika Davidsen, 6. Nukannguaq Zeeb, 7. Lars N. Berthelsen, 8. Jim D. Olsvig, 9. Niisinnguaq L Geisler, 10. Steve Broberg, 11. John-L. Broberg, 12. Aqissiaq Ludvigsen, 13. Norsaq Mathæussen, 14. John Eldevig, 15. Anders H. Petersen, 16. Tuuma Abelsen, 17. Markus Jensen, 18. Pavia Mølgård. Reserves: Nikolaj Mikaelsen, Mike Petersen, Piitannguaq Møller. Nuuk, April 2011 - The GBU (Greenlandic FA) decided to appoint two coaches who will be in charge of the national team. The first coach will be Rene Olsen, who was in charge of U-17 and U-19 until recently. For the second position no suitable candidate has been found so far, Tønnes 'Kaka' Berthelsen will be in charge until a candidate has been found. March 7th 2011 - National YouthTeam coach Kent Nielsen from Qaqartoq made a learning visit to Holland together with a delegation of the Danish FA, DBU. 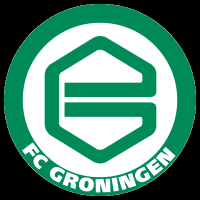 Together they followed the Groningen team instensely between February 22nd and March 7th. They attended training facilities and games of the Reserves, the youth team and games of FC Groningen away at Feyenoord Rotterdam and at home against Heracles Almelo last weekend. At Groningen there are two Denmark borne players, Enevoldsen and Pedersen. The last mentioned is the son of the DBU director, who also attended this tour. Newport March 2nd 2011 - Early April the oponents of Greenland will be known when competing at this years' International Iland Games. Games will be played from Sunday June 26th 2011 until the final at Friday July 1st 2011. The National men and ladies teams will most likely compete in groups of four, with three games on Sunday, Monday and Tuesday. Wednesday will be a day of rest, and Thursday the semi-finals will be held as well as the final ranking games of the teams that did not qualify for the semis. Friday at 15:00 the mens' final will be played at St. Georges Park in the capital of Newport. February 2nd 2011 - National Team coaches Tonnes 'Kaka' Barthelsen and Rene Olsen have anounced that the national football selection consists of 58 players at the moment. This amount will be decreased to 30 after the GM Indoor early March in Aasiaat. At the end of May the trainer-coaches will select 18 players of this group to go on training camp to Iceland in preparation of the Island Games this summer in the Isle of Wight. January 1st 2011 - The old teams of GSS and NUK meet every season at New Year's Day . This years' game was the 21th edition of this traditional exhibition match. between the two Nuuk based clubs. NUK won the game with 4-2. November 23rd 2010 - Expedition firm H.A.P. signed a contract with UMBRO Denmark and the GBU, providing the various national teams of Greenland with a new outfit. Nuuk November 8th 2010 - GBU has communicated the venues for the GM finals of next season. The 2011 GM will be organised by SAK from Sisimiut. The GM 2011 ladies will be organised by Inussuk-2002 in Aasiaat, GM 2011 Youth will be held in the capital Nuuk, with B-67 as organiser. The venue and organiser of the GM 2011 Youth Ladies has not been agreed yet. Nuuk, September 23rd 2010 – The men pre-selection has 28 names, scouted during the GM 2010 finals. Teams that did not participate in the GM 2010 finals are demanded to submit alternative candidates that also may be added to the pre-selection. A final selection of 20 players will travel to the 2011 Island Games.Women coaches Bent Petersen (from Ilulissat) and John Thorsen (from Nuuk) have included some new women in the pre-selection for the Island Games 2011 next June in the Isle of Wight. Nuuk, Wednesday September 15th 2010 – During a visit to Nuuk and the new artificial pitch in Qaqartoq, Sepp Blatter was asked about possibilities in the near future to let Greenland join FIFA. As long as Greenland is not recognised as an independent nation by the United Nations Blatter sees no possibilities for Greenland joining FIFA. That Faroer Island, no UN member either, joined FIFA was because the FIFA regulations were less strict at the time. 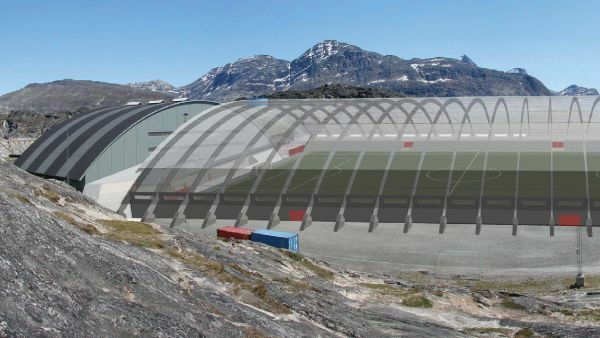 Nuuk September 9th 2010 - With plans and drawings for a genuine covered stadium to be build in Nuuk, GBU hopes to impress Blatter during his Greenland visit. The plans may enlarge the chance of Greenland joining FIFA in the near future. Nuuk, September 2010 – B-67 is crowned Greenlandic Champion 2010. In the final the Nuuk based team trashed G-44 with 5-0. See here all results of the GM 2010. (video of the 2010 GM final) Blatter visits Greenland in SeptemberNuuk July 27th 2010 - September 13th 2010 will be the inauguration of the Qaqartoq artificial pitch by no one less then Sepp Blatter. Later Blatter will visit Ilulissat and Nuuk, where a second artificial pitch has been planned in the Kommuneqarfik Sermersooq. GM 2010 Youth resultsQasigiannguit July 23rd 2010 - B-67 youth team is champions of Greenland after a 2-0 victory over Nagdlúnguak. Qasigiannguit July 20th 2010 - Monday and Tuesday the GM youth 2010 final tournament saw its kick-off in Qasigiannguit. In the hometown of last GM winner Kugsak, B-67 from capital Nuuk defeated last years' champions with no less then 0-7 ! Jens Tang Olesen gives youth clinic in PaamiutNarsaq July 20th 2010 - After a useful clinic in Narsaq, now Paamiut's youth received the honour of a clinic by national team coach Olesen. From Sunday till Wednesday 30 children between 6 and 12 years old enjoyed these special training sessions. After the clinic the participants received a diploma. Next clinic will be in august in Arsuk. Narsaq July 12th 2010 - National Team coach Jens Tang Olesen gives a football clinic for the local youth in Narsaq, Southern Greenland. Together with the trainers / coaches Themothæus Kanuthsen, Pipaluk Thomassen, John Lynge, Gedion Poulsen, Alma Mikkelsen, Georg Poulsen og Vittus Poulsen about 50 boys will receive 4 days of extensive training. Qeqertarsuaq July 9th 2010 – In their hometown of Qeqartasuaq the ladies from Disko-76 conquered the national championship. Two days before the WC 2010 final in South Africa Disko beat I-69 from Ilulissat with 2-1. Manumina Reimer scored for I-69, Iidui Broberg and Arnarissoq Møller secured the final victory. N-48 from Nagdlúnguaq (N-48) from Ilulissat won the bronze medal.Disko-76 played with Arnarissoq Møller, Laila Brandt, Hansigne Broberg, Naja-Mattaliit Broberg, Henriette Svendsen, Iidui Broberg, Oline Kristiansen, Gitte Jensen Olrik, Pipaluk Stephensen and Kathrine Broberg. Inooraq Olrik was trainter, with assistants Johannes Svendsen and Arnaq Brandt. Qaasuitsup July 8th 2010 - A-51 from Akunnaaq won the Northern Bygdemesterskaber after a 2-1 win over Ukaleq from Qaarsut. Football stadium Qaqartoq has new clothing roomsQaqartoq July 3rd 2010 - Since this month players can dress in genuine clothing rooms at the new football stadium in Qaqartoq. The container building that has cost 15.000 Danish Crones was build by a donation of Lions Club from Ry, to its sister club in Greenland. Last year an artificial football pitch was finished which gives football players from the South the opportunity to practice all year round. Capetown June 24th 2010 - Three fans from Greenland traveled from Nuuk to South Africa and saw in Capetown Denmark loose 3-1 to Japan. Nuuk born Gronkjaer did not play, and sadly enough Denmark saw their World Cup campaign finish after this loss.